The PMP is a pathway program in which international students can earn graduate credits while increasing English proficiency. Check out the scope of UVM in a day, and spot grad affiliates like these Pre-Master's Program students from campus to downtown Burlington to Lake Champlain to Denmark. Lindsay Barbieri, PhD student, received a Switzer Environmental Fellowship to support her efforts on reducing the environmental impacts of agriculture in Vermont and beyond. Carol Adair and team, including master’s student Kyle Dittmer and PhD candidate Lindsay Barbieri, research greenhouse gas emissions to inform best practices for VT farmers! Joint effort study helps unravel a climate-change mystery stretching back 8 million years. 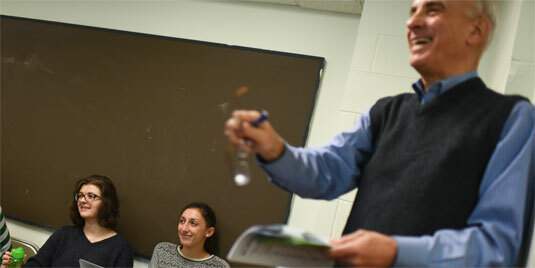 Annual event highlights student research at UVM. The Graduate College at the University of Vermont was formally established in 1952, though the first graduate degree had been awarded in 1807. 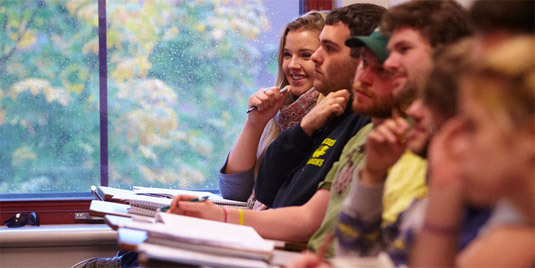 Today, UVM offers over 50 academic programs leading to a master's degree and over 20 programs leading to the doctorate. All graduate degrees are awarded by the Graduate College with the exception of the M.D. degree, which is awarded by the College of Medicine. The Graduate College includes programs and degrees in the natural, physical and biological sciences, the social sciences, the humanities, and professional training. One of the notable features of a UVM graduate education is that many of our programs are interdisciplinary, cutting across several departments and areas of study. 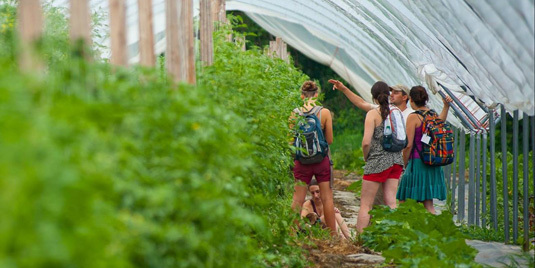 These interdisciplinary programs capitalize on the exceptional strengths of UVM faculty, especially in the biological and biomedical sciences as well as in environmental and ecological programs. IMPACT Graduate Education and Research Newsletter. Browse the 2016 Advance: Graduate College Report and Viewbook.